Fr. Gignac was a Professor in the Biblical Studies Department at Catholic University of America. 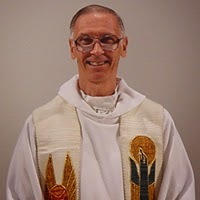 He retired in May 2013 to the Jesuit provincial house in Detroit. He was a reviser on the 1986 NAB revised New Testament and on the board of editors for the NABRE OT. He was known as one of the Church's best textual scholars, most notably being ranked among the most knowledgeable scholars of Hellenistic Greek. You can read more about him and his work by heading over to his faculty staff page. I had the great opportunity to study Greek with Fr. Gignac for three when I was an undergraduate at Fordham. I learned so much from him and I am forever indebted to him of r what he taught me. May he rest in peace.